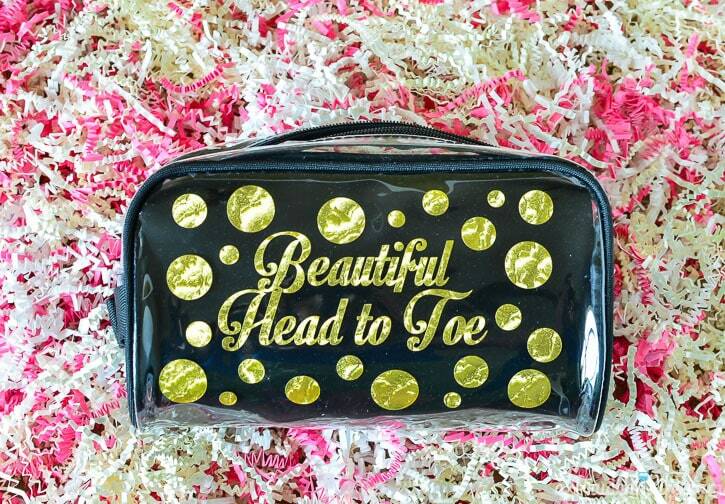 I love to give gifts that include a little pampering, probably because I like to be pampered 🙂 I made over a really inexpensive clear travel bag into a gift-worthy make up bag with a few dollars worth of vinyl. 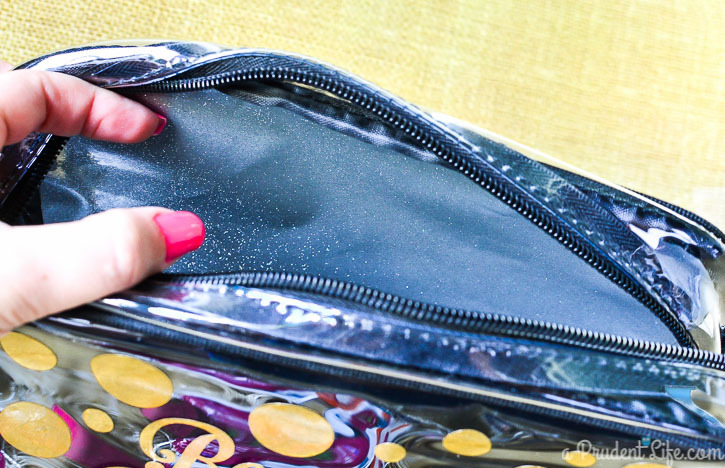 Let me show you how easy it was to put my make up bag together. I started with a clear travel bag from Walmart. Next I checked my vinyl stash and found some black, gold, & sparkly silver left over from other projects. 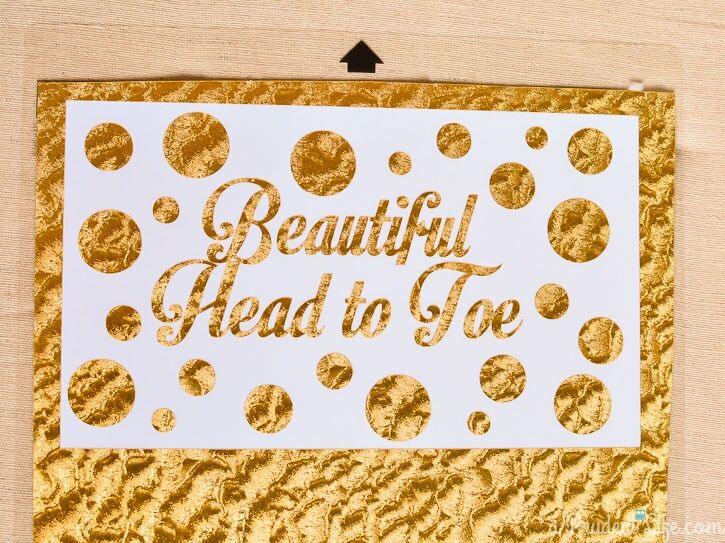 I used a gold leaf vinyl to cut out the words “Beautiful Head to Toe” along with polka dots using my Silhouette machine (affiliate link). 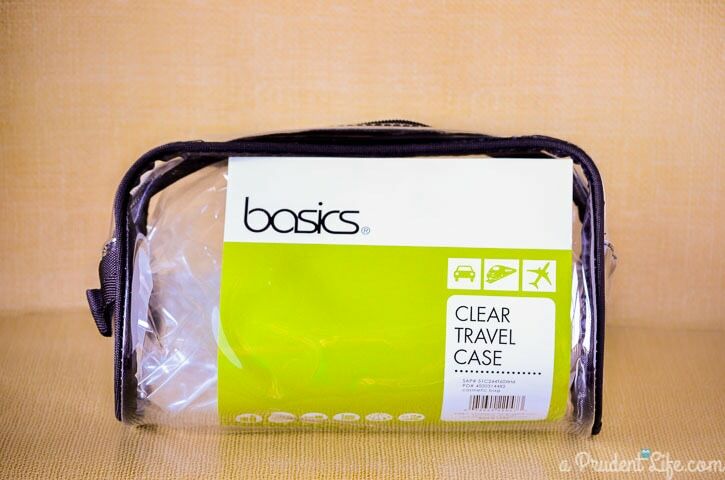 I applied the vinyl to the front of my clear pouch, but the words got lost when I added goodies to the inside. So, I had a little lightbulb moment. I used scissors to cut a piece of black vinyl to line the bag! Because the black side was facing out, you could see the back of the vinyl on the inside. I cut a piece of Ultra Silver Glitter Vinyl the same size and added it facing the inside of the bag. So, the two pieces of vinyl are back to back. See how sparkly the inside is now? Because the vinyl is not actually attached to the bag, it also means it is replaceable. When it gets all make-up-y, the liner can be tossed! 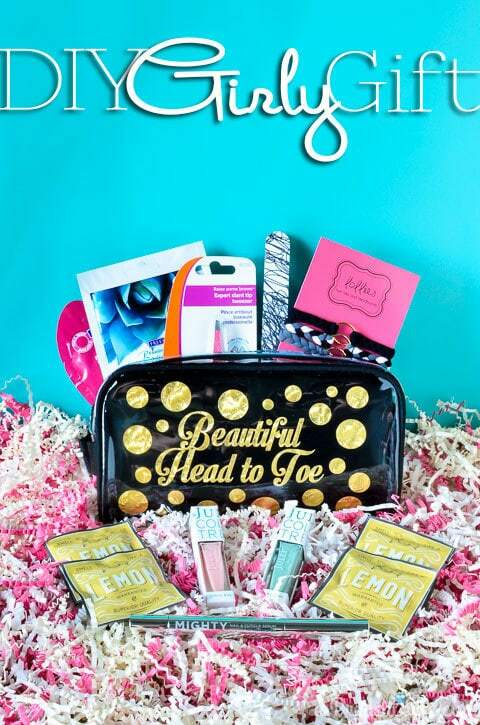 The last step was gathering some pampering goodies. 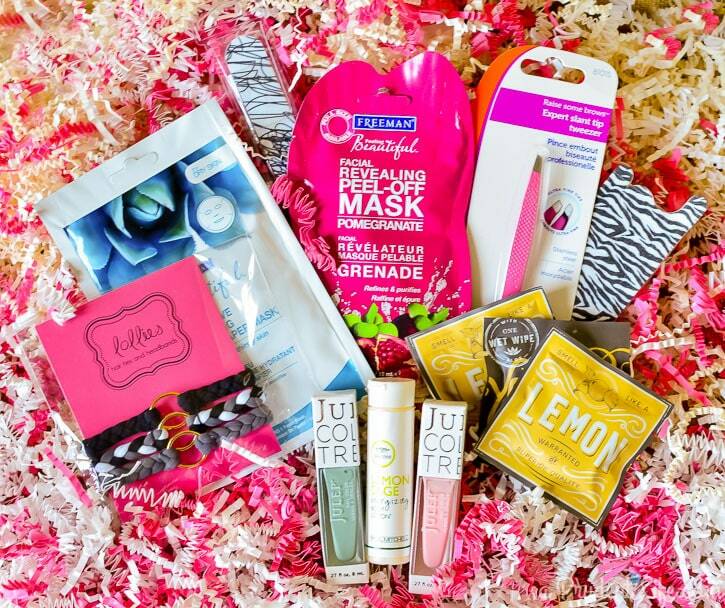 To go with my “Beautiful Head to Toe” theme, I included some face masks & toenail polish. And here is what it looks like all together! « DIY Decorative Bowl – Upcycled From a Place Mat! This is so adorable! I wish I had this when we went to my fiance’s family reunion. So pretty! Such a pretty bag. 🙂 Love this #birthdaygiftidea hop! Who wouldn’t love gold on their special day? ?